class="page-template-default page page-id-5662 wpb-js-composer js-comp-ver-3.6.12 vc_responsive"
What is the WoodSongs Front Porch Association? It is an international network of “front porch” minded musicians, songwriters and fans who simply love simple, rural music. This organization is about EVERYBODY who loves to pick, play and sing. If you feel the music business left you behind, join us. We will show you how to make music a powerful part of your life, even if it is not your livelihood. Start a SongFarmers Chapter, become a Member today! 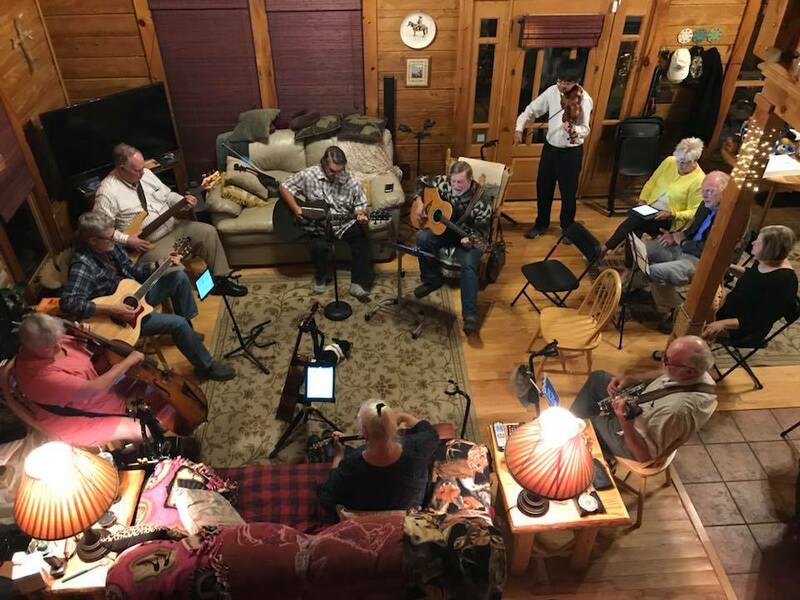 Just $25 a year, support grassroots music in schools and come to the 2019 Gathering of SongFarmers in Berea KY October 18 and 19. 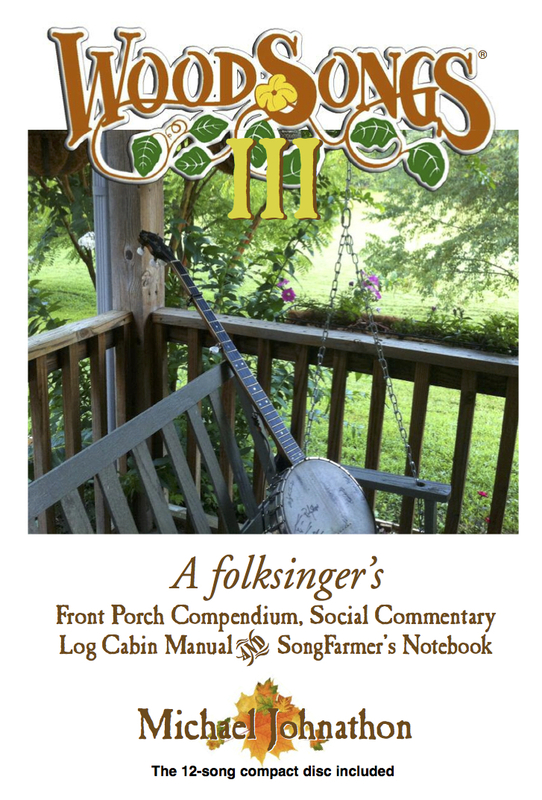 Be part of a musical Gathering of front porch minded artists, musicians and pickers from around the world. Young and old, seasoned and new, experienced and hobby players … all are welcome! A lot of my followers remember when Michel Johnathon came to our National Old Time Music Festival. He was an astonishing folk singer at that time, and still is however he is much much more successful. He went on to establish WoodSongs, an incredible ‘live’ folk music radio show emanating from the east. He became so well established with this program, he is now working hard to bring home-spun music back to the front porch. In other words, he wants to gather the global community of front porch minded musicians and help them do good work, bring roots music education into the schools free of charge, and enhance communities by redirecting the tremendous energies of local musicians. Pretty much what we’ve been doing with a festival the last 43 years, trying to keep the front-porch sound of ‘real’ old-timey, country, folk, bluegrass music as a destination. 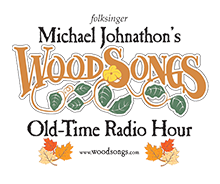 This new adventure by Michael Johnathon’s is also part of his WoodSongs creation. This new SongFarmer CD is a very nicely done folk album, with all the requisites of a super good folk artist, utilizing only his own acoustic guitar and/or his own drop-thumb banjo. Very nicely done, and certainly a good representation of what ‘front porch’ picking would be like. How cool is that? He calls the banjo a song farmer’s plow. So are guitars and mandolins and banjos and fiddles, all of those down-home front-porch instruments that were so incredibly important to rural life, when rural life was really rural. 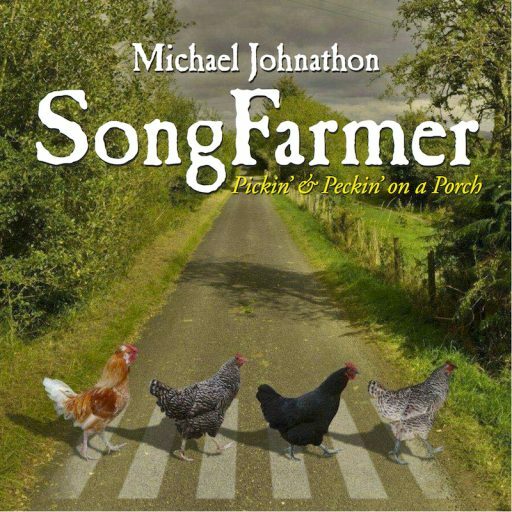 Today ‘rural’ is thousands of acres of corn and soybean, and all those other very profitable pursuits, but in Michael Johnathon’s mind, it’s also the ‘music’ that saw the rural folks through their hard times, and it’s also the music that should still be not only recognized, but esteemed. 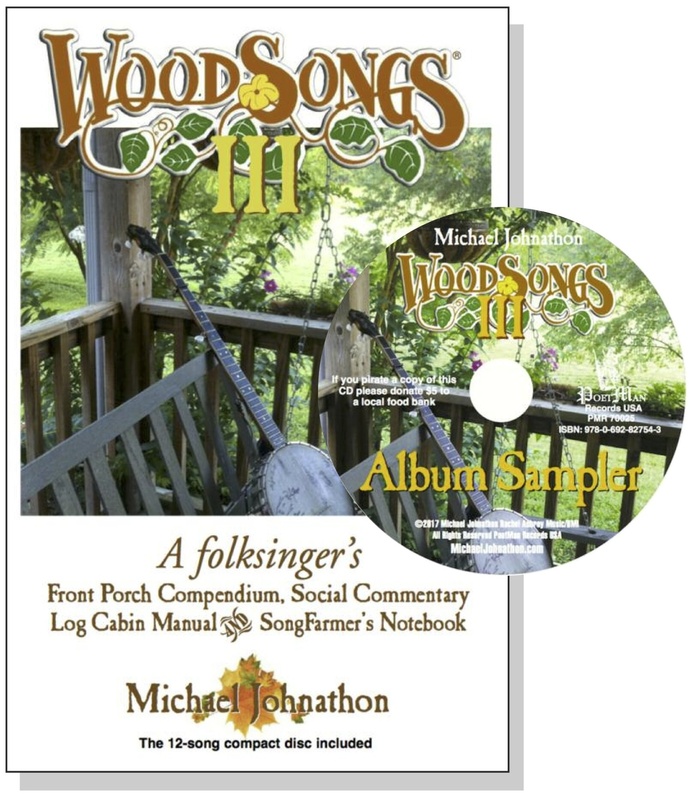 Super good CD Michael, I especially liked your ‘modern’ approach to what folk music used to be all about, namely writing and singing about ‘problems’ as well as ‘cures.’ Your song “Gun” is exactly that, and so needed in your age group these days, well any age group.